Now that 2 of my 4 kids have moved out on their own, I find myself with a lot of leftovers. I’m working on adjusting what I make to serve 4 people instead of 6, but it’s definitely something that’s going to take some time. I’ve been cooking for 6 for so long that it’s almost instinctive! So turning some dinners into individual portions not only helps me with adjusting what I cook, it also creates lunch for the next day. 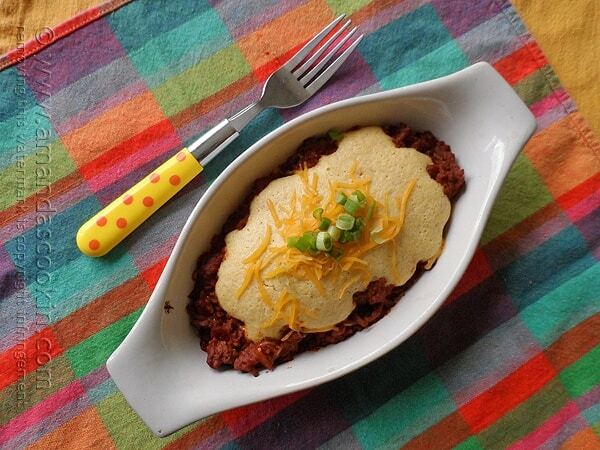 These individual tamale pies were absolutely delicious, easy to make and a real crowd pleaser. And get this… frugal! 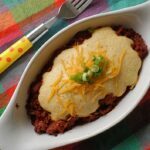 I’m always looking for inexpensive ground beef dinner ideas that everyone loves, so this is definitely a win/win in my book. You’ll notice that I used a box of Jiffy corn muffin mix. I grew up on it, so even though I’ve made cornbread from scratch several times, I love to fall back on these inexpensive boxes from my childhood. 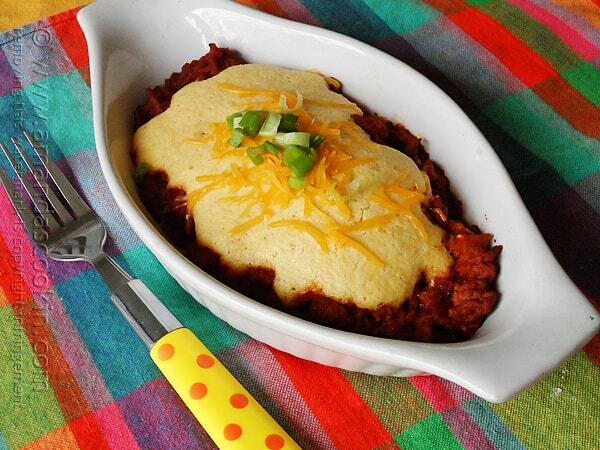 If you have a favorite cornbread recipe, by all means use it. Full printable instructions are below. You’ll need some ground beef, I use an 85/15 mix for this, but you could go leaner if you wanted to, or use ground turkey or chicken if you like. 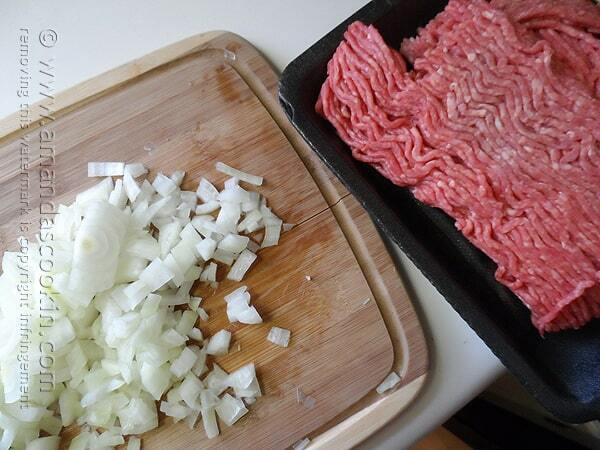 After you’ve sautéed the onion and garlic and removed it from the pan, brown the ground beef, drain off fat. Return onion and garlic mixture to the pan with the browned beef. Mix all the herbs and seasonings together and sprinkle over meat and onions. Stir together. Season with salt and pepper to taste. Add broth and tomato paste and mix everything together. Use remaining broth if mixture is too thick. 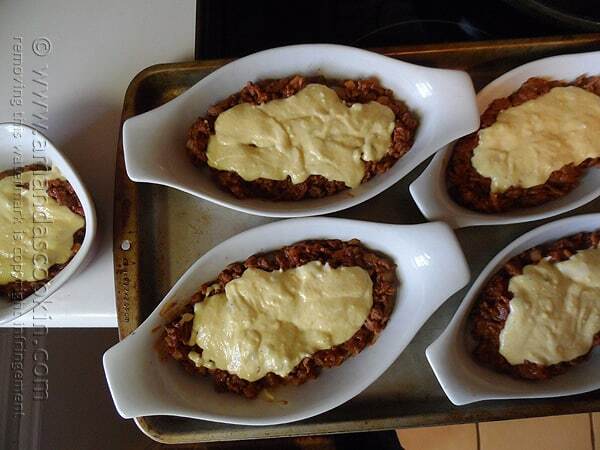 Distribute meat among 4 single serve baking dishes. Prepare the cornbread batter and distribute it over the meat mixture. Bake dishes 15 minutes, or until muffin mix is lightly browned. 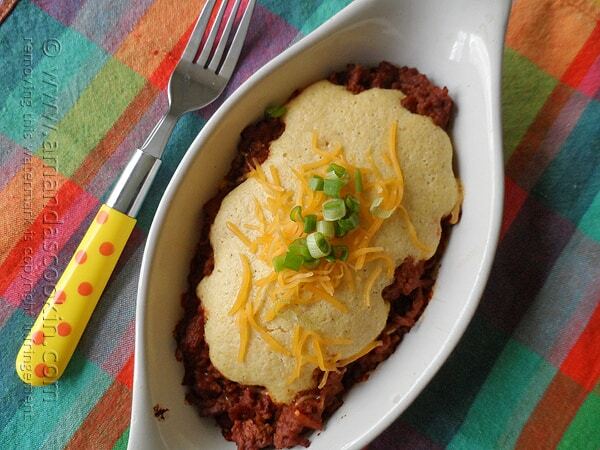 Garnish with shredded cheese and chopped scallions. Heat olive oil in a large skillet over medium high heat. Saute onion until translucent, continue continue, stirring occasionally until onion begins to brown. Add garlic, cook one minute more. Remove onions and garlic and set aside. 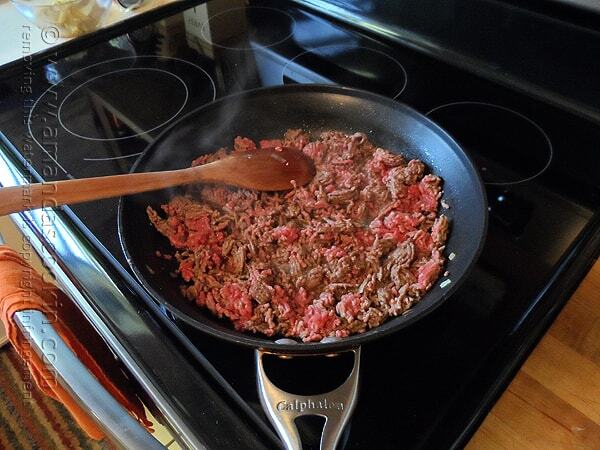 Add ground beef to the skillet and brown, drain off fat. 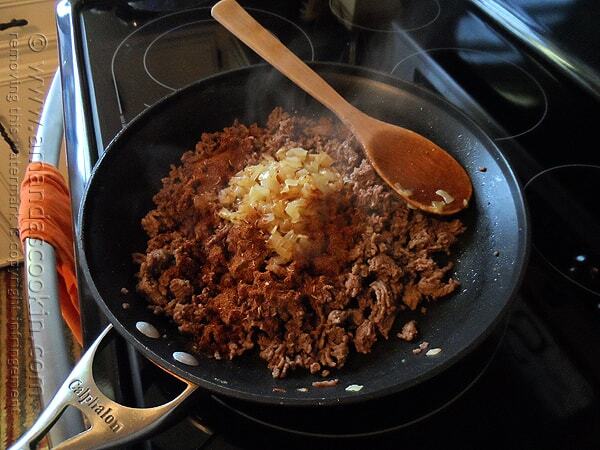 Return onion and garlic mixture to the pan with the browned beef. 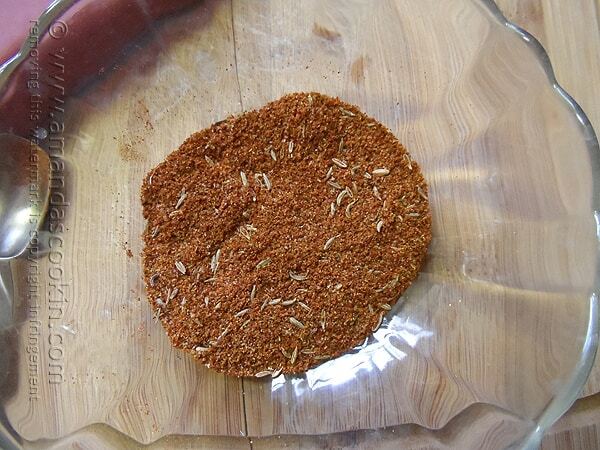 Mix the chili powder, ancho chile pepper, cumin, cumin seeds, and celery salt together and sprinkle over meat and onions. Stir together. Season with salt and pepper to taste. Add 3/4 cup beef broth and stir together to be sure herbs and spices are distributed. Add tomato paste and mix everything together. use remaining broth if mixture is too thick. Distribute meat among 4 single serve baking dishes. Following instructions on the Jiffy box, mix together the muffin batter and distribute it over the meat mixture. Place baking dishes onto a baking sheet and bake in the oven for 15 minutes, or until muffin mix is lightly browned. Garnish with shredded cheese and chopped scallions.